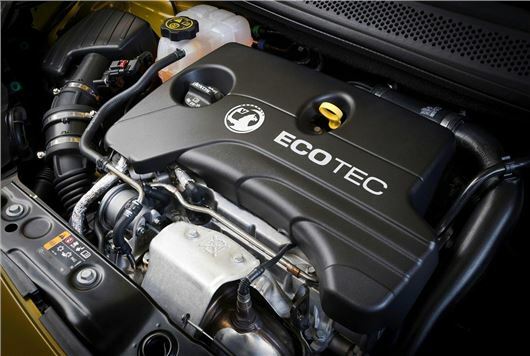 Vauxhall has launched its latest Ecotec engine at the Geneva Motor Show. The 1.0-litre three-cylinder turbocharged petrol engine is designed to rival the latest generation of three-cylinder engines including the Ford EcoBoost and Renault TCe. The new Vaunxhall engine will be available in 90PS or 115PS versions, while the lower power unit emits 99g/km of CO2 and delivers official economy of 62mpg, when it comes online later this year. Vauxhall claims to have worked hard on refinement, in order to reduce the characteristic thrum of a three cylinder engine. It’s claimed that in bench tests the 1.0-litre Ecotec is quieter than many four-cylinder engines even at higher engines speeds under full throttle. Perhaps the biggest surprise is that the engine isn’t premiering in the all-new Corsa expected this year, but instead in the Vauxhall Adam. Vauxhall is instead to premiere the new Corsa at the Paris Motor Show later in the year. The new 1.0-litre engine is expected to appear in the new Corsa from launch.